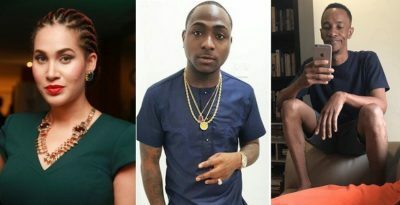 Davido’s lyrics in his latest trending song “FIA” has made his fans to believe that he throw a shade at actress Caroline Danjuma over the face-off between them over Tagbo’s death. “Caroline save your drama I dont need it, (its) for the soap opera. Holla holla Mr. Olopa I’m not hear to cause wahala o.
Davido has come out to clear the air over his lyrics in his new song “FIA”, he said he is not referring to actress Caroline Danjuma on his new song rather he was referring to a certain Caroline in his primary school days. 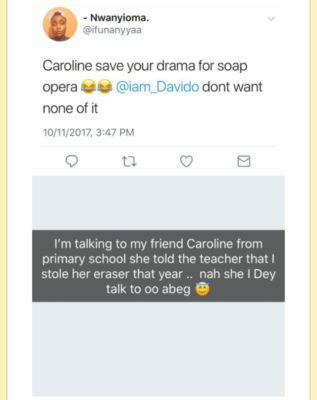 Do you believe that Davido is saying the truth. Share your thoughts on this.